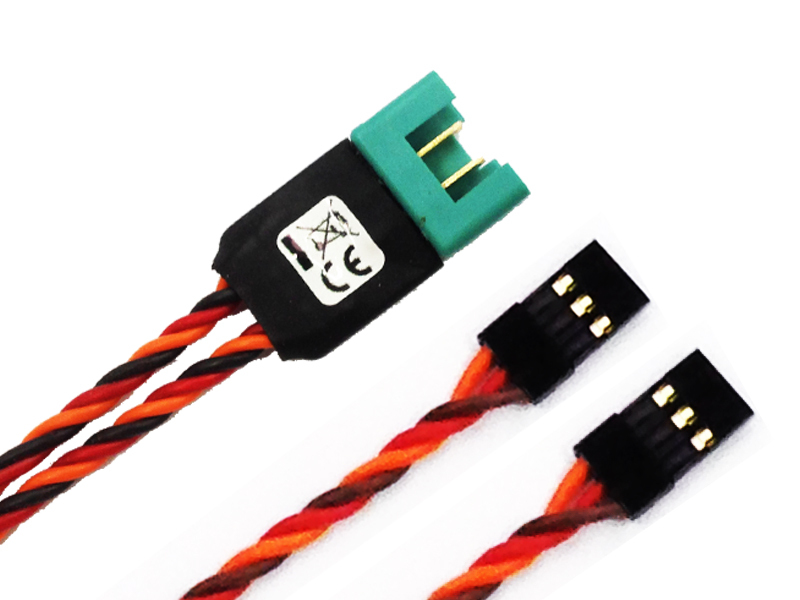 Cable for the connection of 2 servos between fuselage and wing or between different segments of the model (fuselage-fuselage, wing-wing). 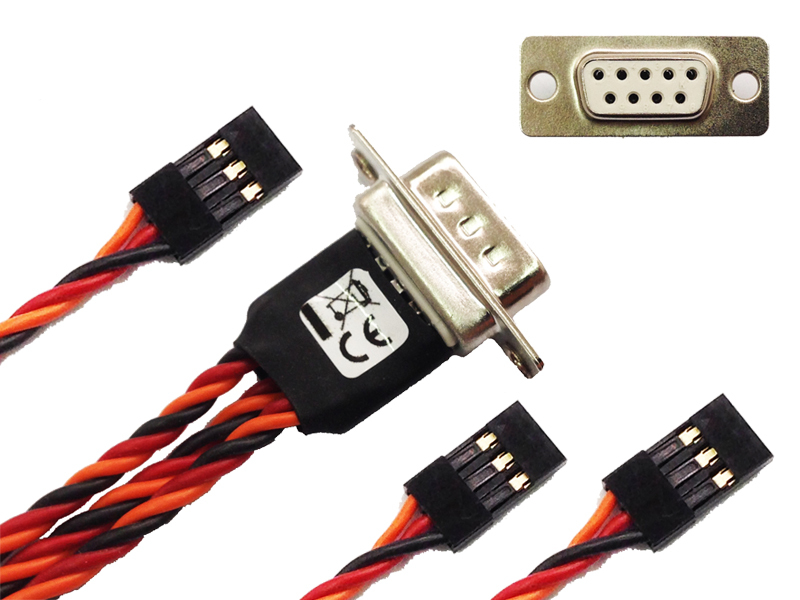 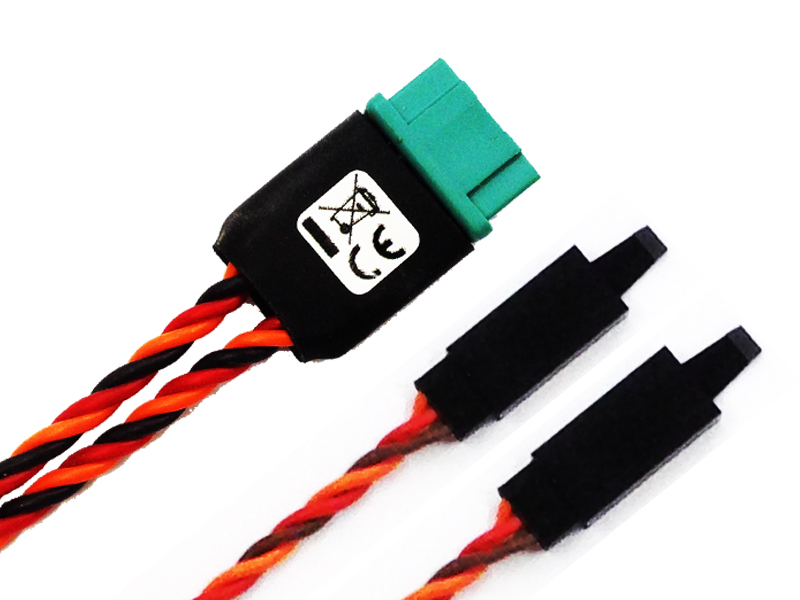 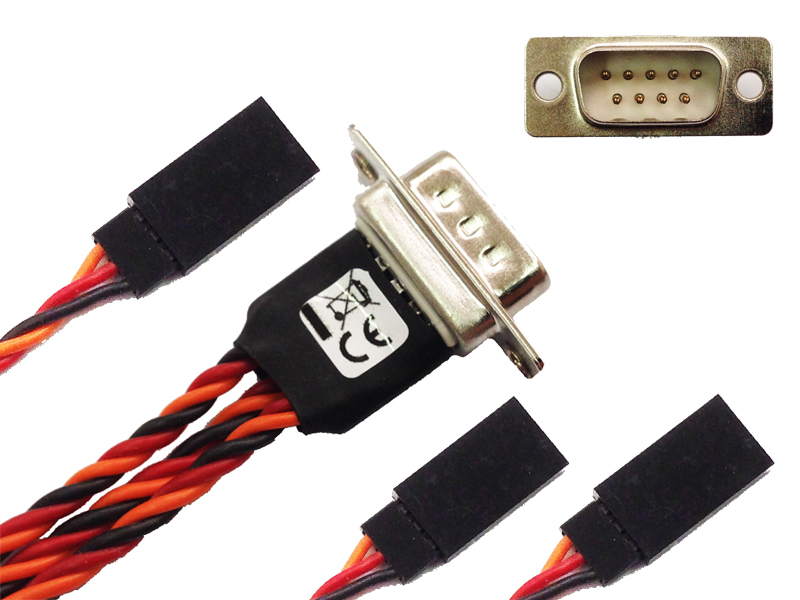 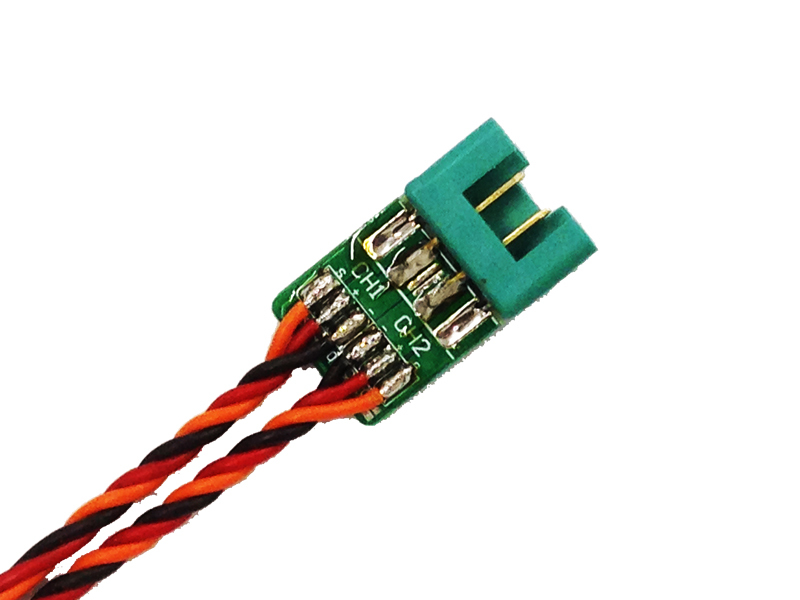 It is made using only twisted silicon servo wire of 0,5 mm2 section and it is the best solution for connecting also very powerful digital servos. 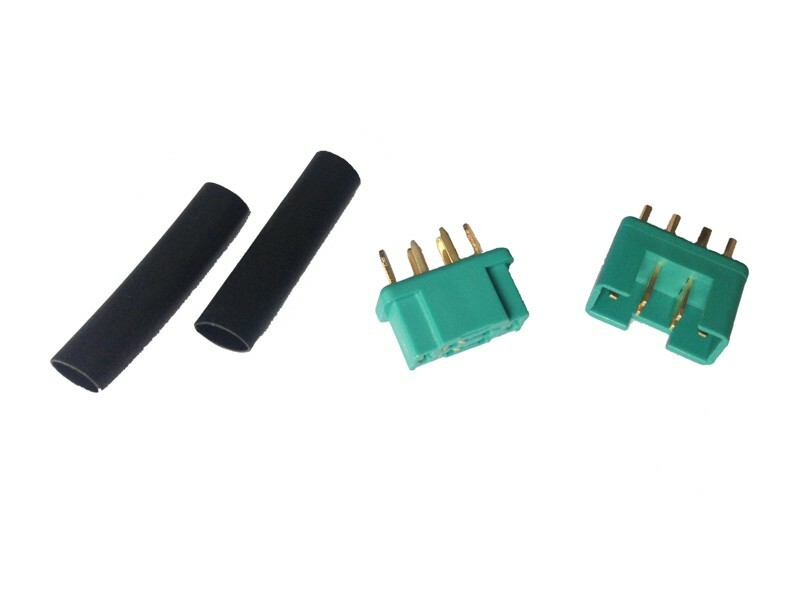 Connection to the receiver or to the control unit is assured by UNI type connectors with gold plated pins, while at the other end there is a MPX connector, also with gold plated pins.